Can I still get an Apartment with a Broken Lease on my Record? Two of the main reasons landlords deny potential renters is because because of bad credit histories and for having a broken lease on their records. BROKENLEASE.COM IS AN ENTIRELY NEW CONCEPT DESIGNED TO ASSIST INDIVIDUALS AND FAMILIES TO ACQUIRE SUITABLE SHELTER, APARTMENTS. CONDOMINIUMS AND HOMES. 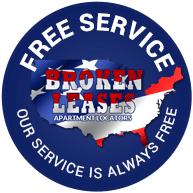 Brokenlease.com is a national network of professionals dedicated to help you improve your bad credit and also to help you find the apartment, condominium or home that desire. It is the only national site of its kind with it primary goal is to assist individuals and families get a suitable place to live and prosper.